On Monday morning, Israeli forces invaded Khan al-Ahmar, east of Jerusalem, and destroyed the homes of 87 Palestinian Bedouins, most of whom are women and children. Adal Jahaleen, one of the residents of the Bedouin village, told the Palestinian Wafa news agency that the Israeli military arrived with several Caterpillar D9 armored bulldozers in the morning and forced his family and other families out of their homes. The Israeli military then proceeded with the destruction of eleven dwellings, home to 87 people. The demolition took place in the middle of winter, and Jahaleen said that he is extremely worried for his family and the other families that were forced into the cold today when the military destroyed their homes. Dawood al-Jahalin, a representative of the Abu Nuwwar Bedouin community, told Press TV reporters that the Israeli army carried out the demolition without giving any notice to the families, and without allowing them to retrieve any of their personal belongings from their homes before the military demolished them. 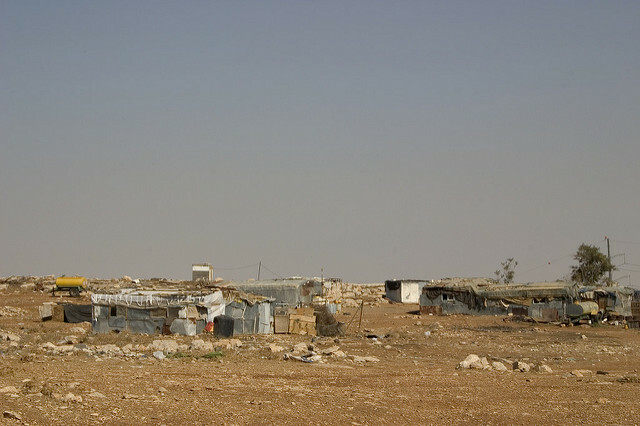 Nearly 7000 Palestinians have been rendered homeless this year by Israeli home demolitions. The UN Office for the Coordination of Humanitarian Affairs recently issued a report that the number of home demolitions of Palestinian homes by the Israeli military during 2016 reached a record number.